Welcome to the Estimote and mobile application resource section. In this section, you will find various resources to get started developing mobile applications to interact with your Estimote projects using Evothings Studio. 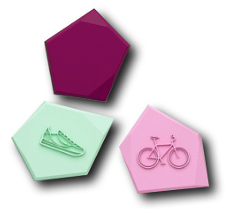 Estimote Beacons and Stickers are small wireless sensors that you can attach to any location or object and operate on a coin-sized battery. Broadcasting tiny radio signals that any Bluetooth Smart (BLE) enabled device can receive and interpret they unlock the possibility of micro-location and contextual awareness applications. Below are a number of resources on our website to support getting started with developing mobile apps using Evothings Studio. Enjoy discovering a new world of possibilities combining your Estimote projects and mobile applications!